In Exodus, 30:23, God directed Moses to make a holy anointing oil composed of myrrh, sweet cinnamon, Kaneh-bosem, cassia, and olive oil. 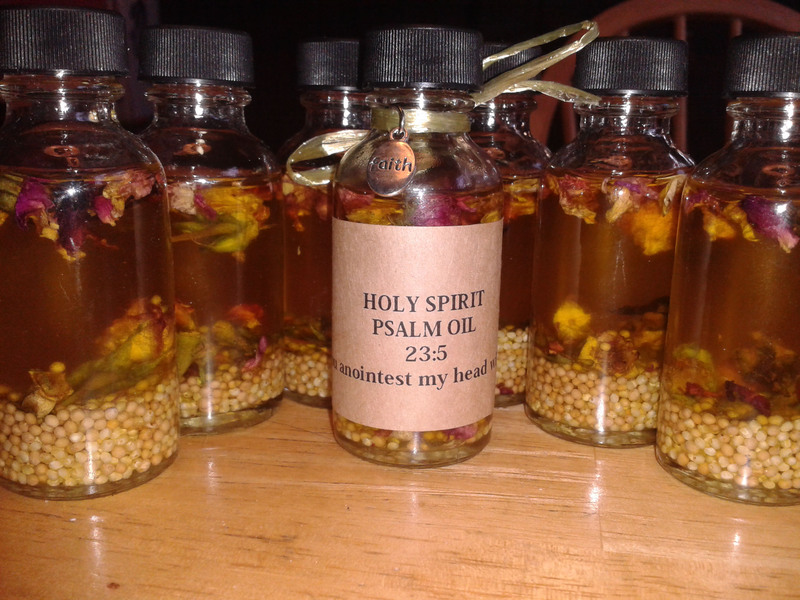 "And you shall make of these a sacred anointing oil blended as by the perfumer; it shall be a holy anointing oil."... To make it, the bishop mixes oil from the balsam plant with the olive oil, breathes on the mixed oil to signify the presence of the Holy Spirit, and then says a prayer to consecrate it. Once blessed in this way, the chrism and the other oils are no longer ordinary ointments. Hello friends, Aloha. My recommendations to make authentic holy anointing oil: Allow 30 + minutes of un-interrupted time to concentrate on this sacred and service. To make it, the bishop mixes oil from the balsam plant with the olive oil, breathes on the mixed oil to signify the presence of the Holy Spirit, and then says a prayer to consecrate it. Once blessed in this way, the chrism and the other oils are no longer ordinary ointments.